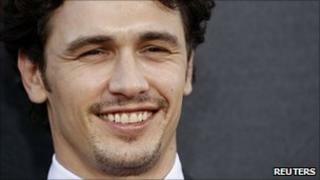 James Franco, star of 127 Hours, is to return to US daytime soap opera General Hospital, it has been reported. US network ABC confirmed the Oscar-nominated actor would be reprising his role as the serial killer artist Robert "Franco" Frank, TheWrap.com said. It will be the fourth time the Spider-Man star has appeared in the soap since 2009. The character will return to the show from 20 September, as part of a long-term storyline. 'Frank' will return to the show as the object of his character's affection - hit man Jason Morgan - prepares to marry fiance Samantha McCall. An ABC spokesman said it would be the character's "most twisted plan yet". Franco first appeared on the soap for two months in 2009 and was last seen in February, in a two-day stint which coincided with him hosting the Oscars with Anne Hathaway. It is not known how long Franco will star in the soap during his forthcoming run. The actor is due to appear on Broadway this autumn opposite Nicole Kidman in a revival of Tennessee Williams' Sweet Bird of Youth. Franco will next be seen on the big screen in Rise of the Planet of the Apes, which is released in the UK on 12 August.